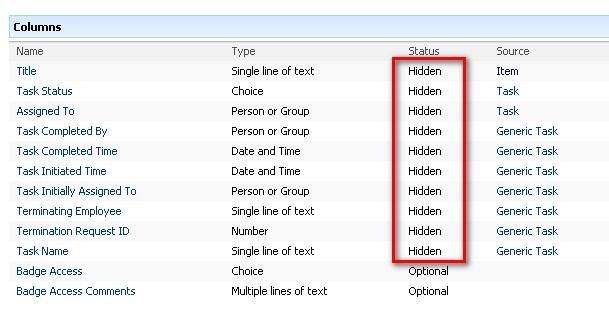 Changing the Group on a Site Column Causes Hidden Fields to Display on a Content Type | Are you a user? I ran into this problem recently. I had a number of site columns that were hidden on multiple content types and I "recategorized" the site columns into a single group (simply for administrative purposes). As a result, all my forms began displaying the hidden fields (instead of keeping them hidden). Here’s the scenario. I have a content type, Generic Task, that is used as the parent of many other content types. 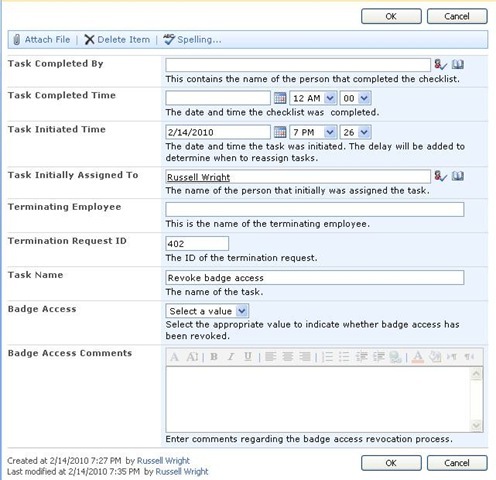 You can see from my first screen shot that I have a content type (called Badge Access Task) that is inheriting from Generic Task. When a user interacts with the task list Edit form I only want them to see and update the two fields at the bottom (Badge Access and Badge Access Comments). All the other fields are hidden and are only used by workflows. If you haven’t done this before, you can still see the hidden fields in a view, but the New, Display and Edit forms don’t show the hidden fields. Here’s the problem I was having. After I changed the group that my Generic Task site columns were in, they all started showing up on my Edit forms. To correct this problem, I simply went into each site column on each content type and clicked OK. I didn’t make any changes to any of the information on the form. This appears to have had the desired effect. 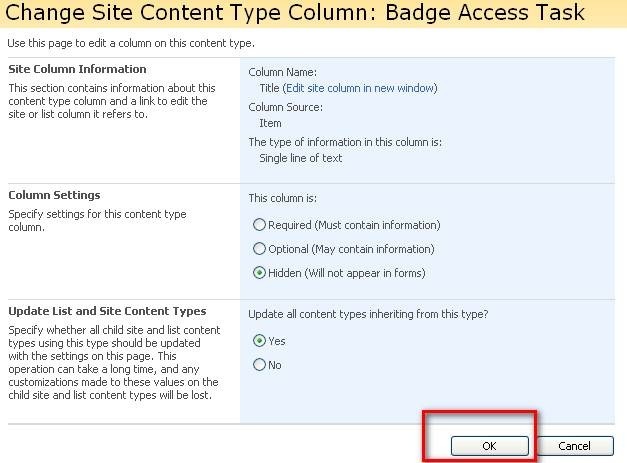 After performing this procedure on each site column on the content types, all of my fields were again properly hidden. As an FYI, this is on an MOSS 2007 farm with SP2 (and patches) applied. Yess you’re right! And your simple solution works perfect! Thanks..